Dimensions W:49" x D:1" x H:38"
Add a touch of class while guarding your loved ones from coming to close to your fireplace with our beautiful 49" Marcel 3 Panel Fireplace Screen. 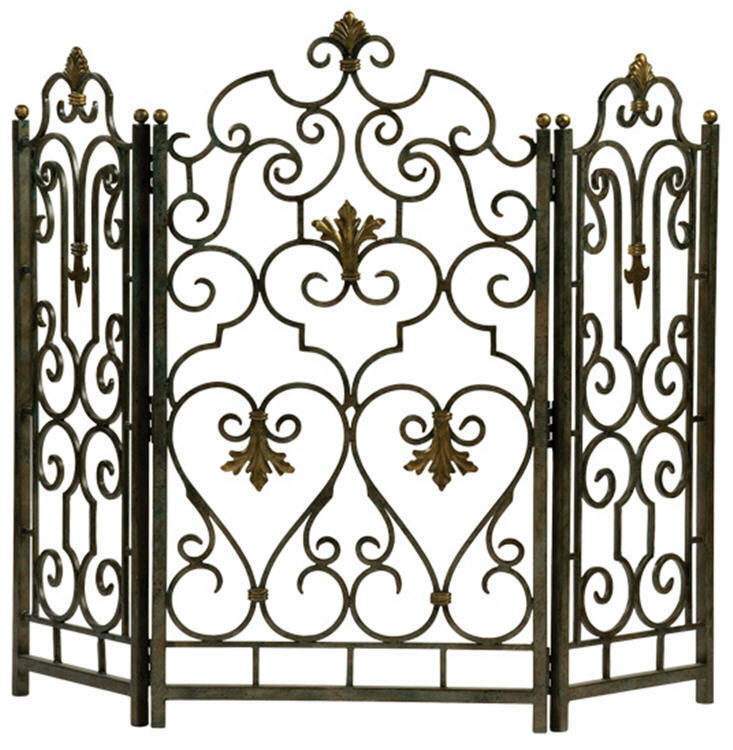 This fireplace screen features three hinged panels with beautiful scrolled two tone wrought iron. This fireplace screen can be adjusted to fit a variety of fireplace sizes.